When it comes to selecting something soft for under your feet in the bathroom, most people go for a traditional bath mat, most often sold in tiny sizes. However, I want to convince you to ditch the boring bath mat and go for a more stylish area rug selection for your bathroom. Choosing an area rug over a bath mat will have the benefit of more exciting patterns to choose from, along with broader size selections for larger bathrooms. 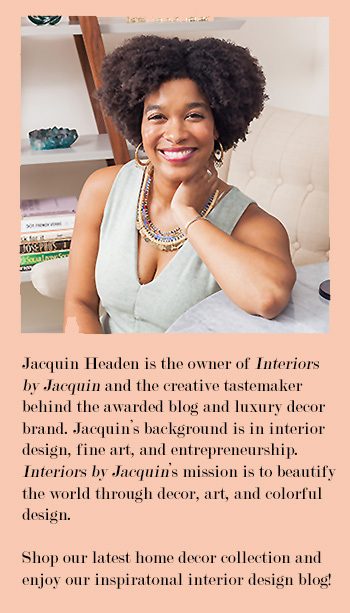 Today I’ve rounded up my top 5 examples of chic area rugs in bathrooms. Toronto home, Image via The Zhush. So, when is the last time you’ve popped into a store to see basic bathmats available in just a few basic designs and sizes? The truth is, if you want a more ornate or unique bath mat design for your bathroom, you’ll likely have to head to the rug section to find the best variety. So I’m hear to encourage you that there is absolutely nothing wrong with that. 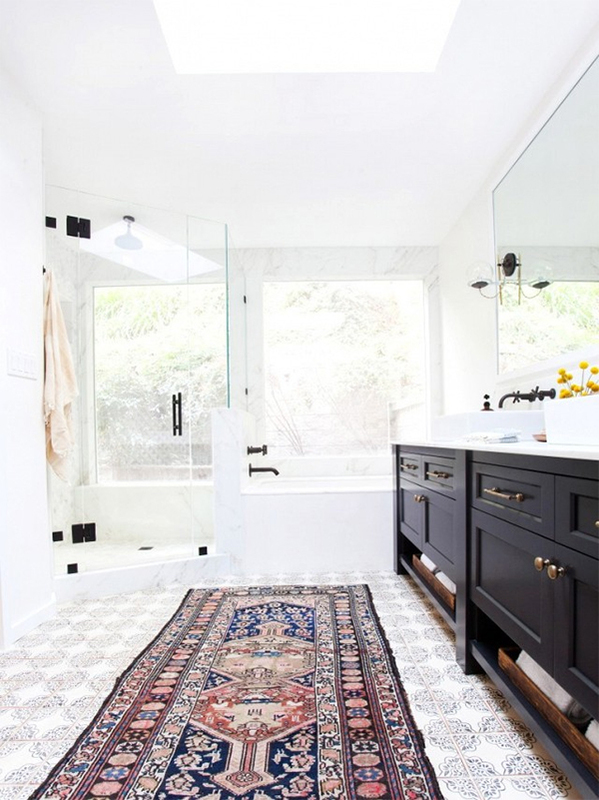 Go forth and shop the rug section for your next bathroom refresh! Whether your bathroom is smaller or larger, a luxe oriental rug, or another equally ornate rug selection, will have high impact in your bathroom visually. For example, I love the unique look of the circular polka dot rug shown above. 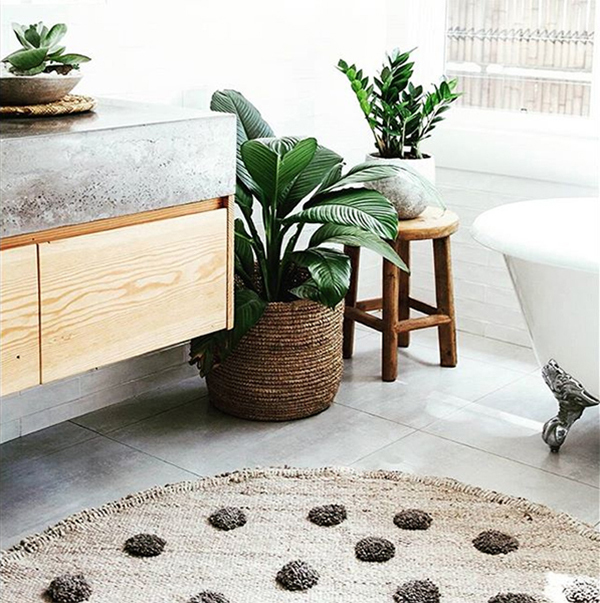 It adds a custom feel to the space, especially since you don’t typically see circular rugs in bathrooms. For larger bathrooms, when you’re shopping the rug section instead of the bath section, you’ll find rugs that are more appropriately sized for larger bathrooms. 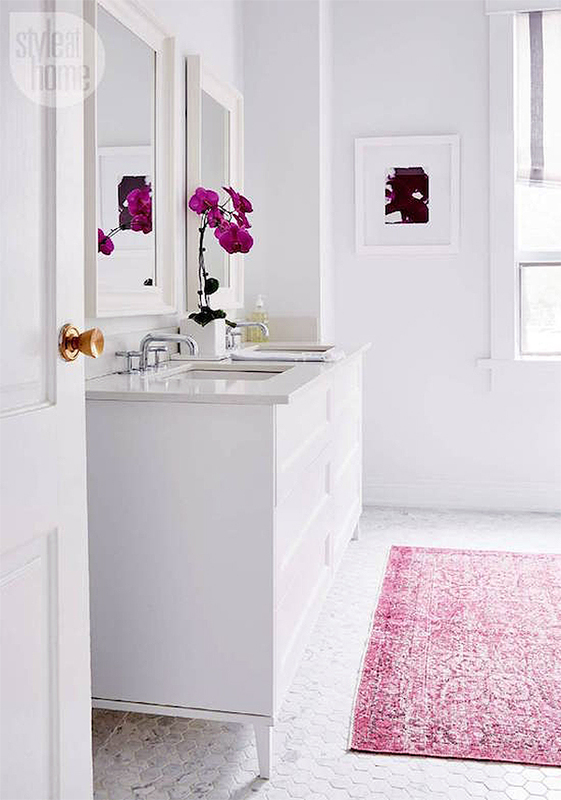 The oriental rug shown below is a perfect example of how an oversized rug or runner can transform a bathroom. 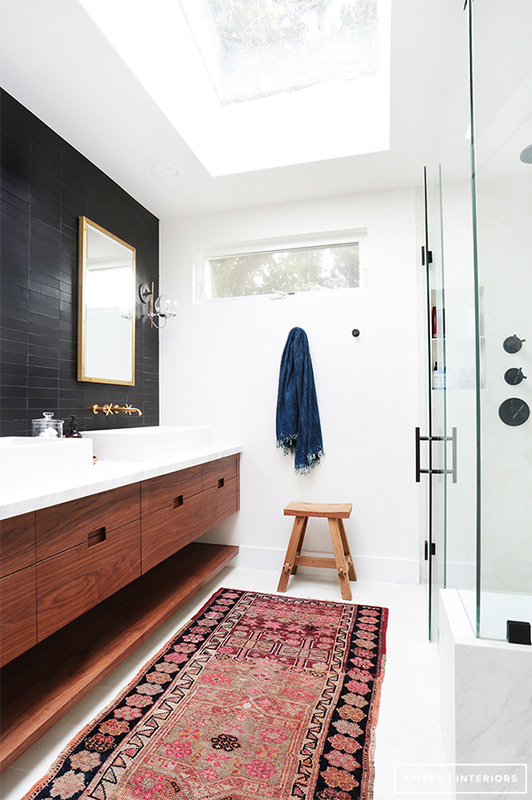 Make your bathroom fabulous by selecting a rug over an average bathmat! Interior design by Amber Interiors. Will you be switching from a boring bathmat to a luxurious area rug in your bathroom? You’ll love it!